This perfume was launched in April 2015. It’s very young, energizing and happy. It is Long lasting with moderate sillage. Main Accords are Fruity, Sweet and rose. This fragrance was launched in 2012. It’s a sophisticated, sweet and intense. Valentina Assoluto has moderate Sillage and longevity. The main accords are earthy, white floral, vanilla, savory and animalic. This one was launched in January 2013. This perfume is soft and pleasant. Perfect for everyday use. Moderate longevity and soft sillage. The Main Accords are White florals and citrus. Valentina was launched in September 2011. This is a clean and classy scent. The longevity is moderate as well as the sillage. The main accords are White floral, vanilla and, sweet. don’t forget Mother’s Day is around the corner. Enjoy! 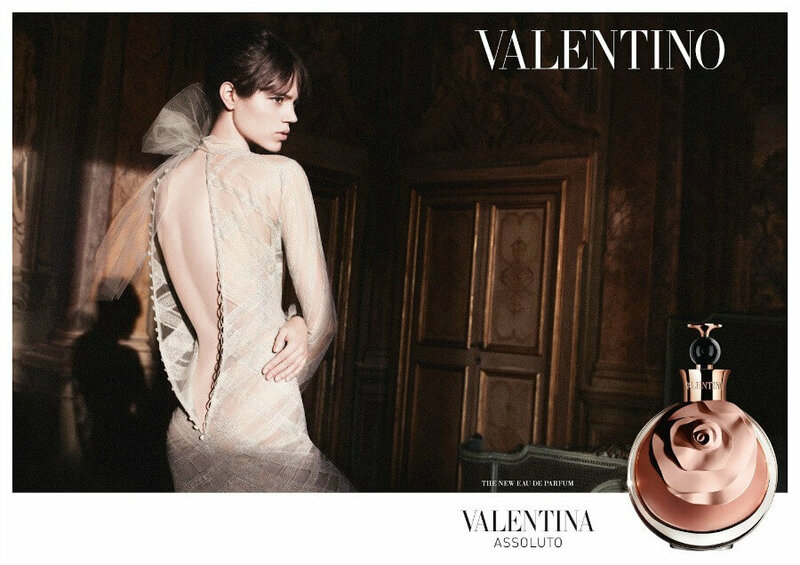 *Both pictures are official Valentino campaign ads. I’m gone to say to my little brother, that he should also pay a visit this webpage on regular basis to take updated from newest news update. Thank you for any other fantastic post. Where else may just anyone get that type of information in such an ideal method of writing? I have a presentation subsequent week, and I’m on the look for such info.